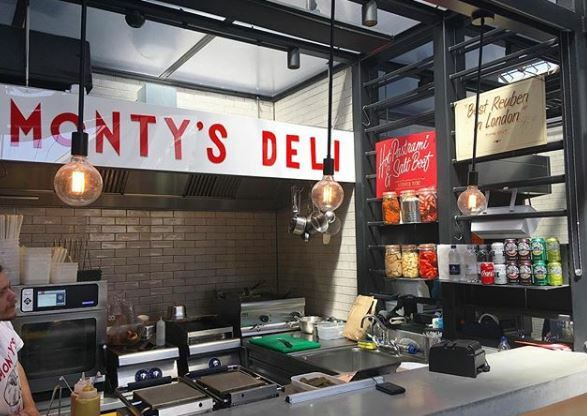 Jewish restaurant Monty’s Deli is looking to raise £150,000 in order to expand across London. The deli, well established after a year and best known for its towering salt beef sandwiches and homemade chicken soup, is offering equity to the general public for the first time. Mark Ogus and Owen Barratt were able to open Monty’s thanks to crowdfunding. They raised £50,000 on Kickstarter to launch in Hoxton Street, Bermondsey, and, given its emerging reputation, the duo believe it’s time to push on. Harden’s reviewers will likely be pleased by the news. We’ve dubbed the restaurant “a stylish, boothed (if noisy) Hoxton diner” in which “great sandwiches and bagels” are dished up. Monty’s brand is “Jewish soul food”, built on the flavours of memory and nostalgia. New York-style, authentic pastrami sandwiches and freshly made traditional bagels have not – perhaps curiously, given the capital’s history – ever really become a London trend. Perhaps adding to the two existing sites will help do so? Whatever the outcome, moving from a single stall to a business employing 22 staff in a year is impressive. A hefty £150,000 would take this further. (Without, we hope, dampening the charm that helped propel the deli in the first place). Monty’s Deli will start a month of crowdfunding on July 27. Does sustainability affect where you eat? Please tell us! News Jewish restaurants, restaurant crowdfunding. permalink.